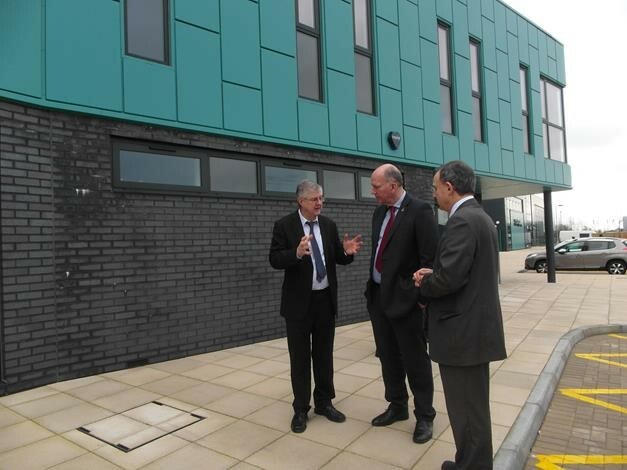 Health and Social Services Minister Mark Drakeford will visit the brand new Briton Ferry Health Centre on Thursday (February 4) to see the range of services available to people in the area. The Welsh Government is investing £8.4m over the next 25 years to provide accommodation for the two GP practices in the centre – Waterside Medical Practice and Dr Wilkes and Partners. The health centre will also provide a range of community health services run by Abertawe Bro Morgannwg University Health Board. Professor Drakeford said: “The Briton Ferry Health Centre replaces a centre built in 1977 and as well as a modern building, it offers local people a modern model of health and social care. “It will also mean that patients won’t have to travel to Neath Port Talbot Hospital for regular blood tests as rheumatology monitoring will now be available in Briton Ferry. David Rees Assembly Member for Aberavon, who joined the Minister on his visit said: “I welcome the new start of the art Surgery that is now available for patients in and around Briton Ferry. This new facility will provide the base for medical staff and patients to benefit through improved services and care now offered at this resource centre. The centre opened in November last year and it serves around 12,500 patients in the Briton Ferry area. As well as the two GP practices, the centre will offer vocational training for GPs, community diabetic and musculoskeletal services and a complex wound care service provided by the community nursing team.